Greetings, Groove-ophiles! 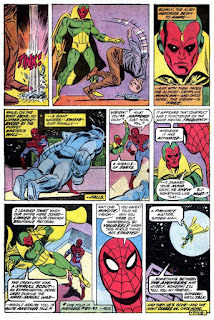 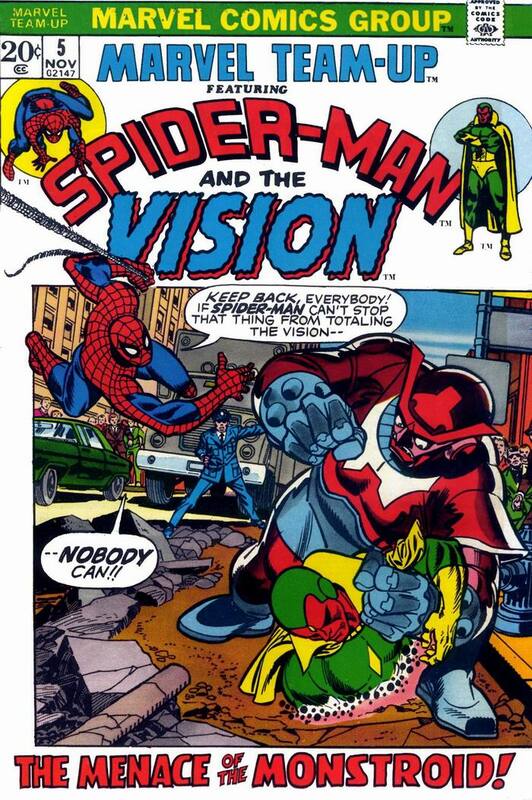 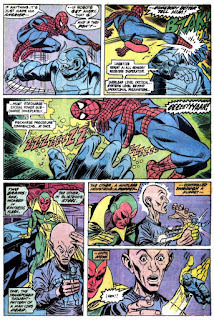 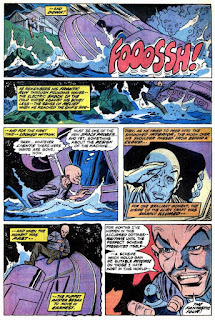 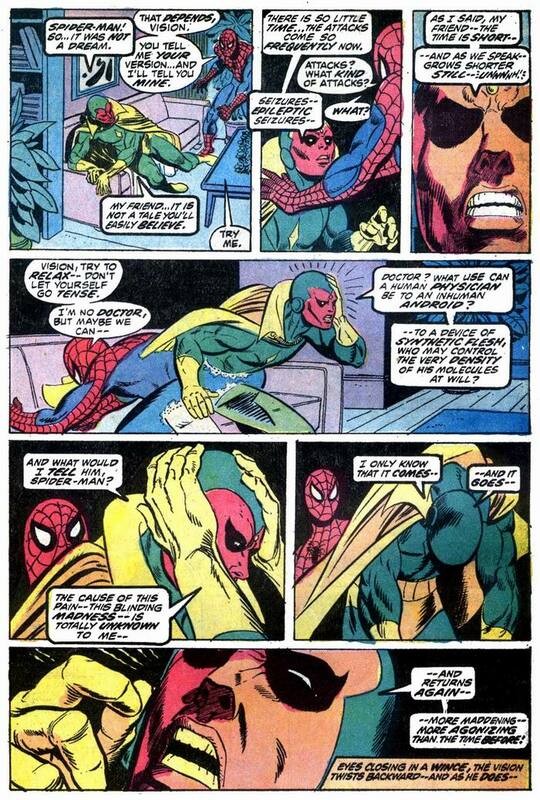 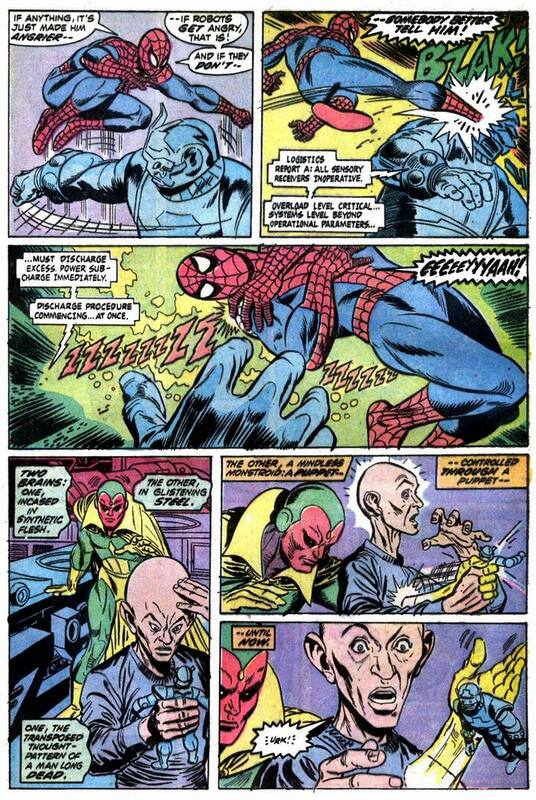 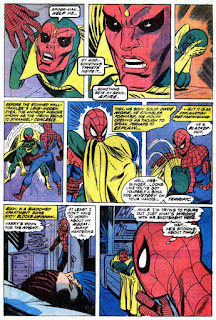 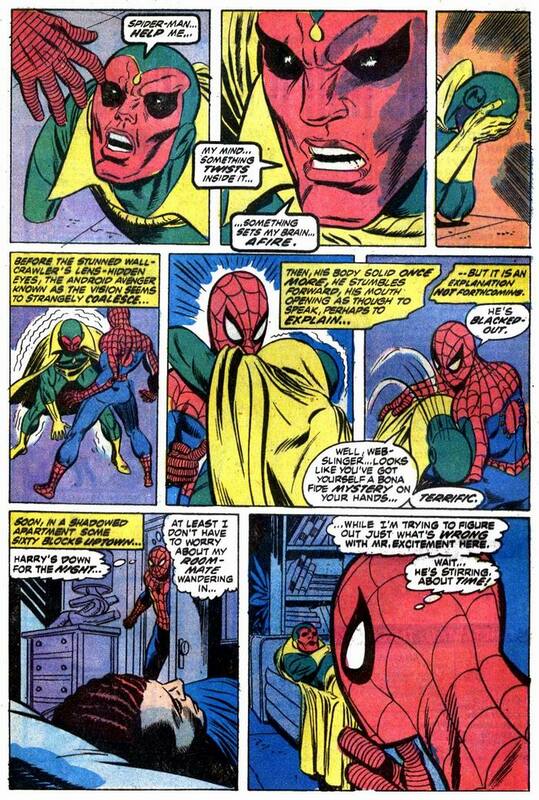 Let's kick off this week with a classic early Marvel Team-Up: Spider-Man and The Vision from MTU #5 (August 1972)! This one's always been a fave, due to the rare appearance of The Vision in a non-Avengers comic without any Avengers around. 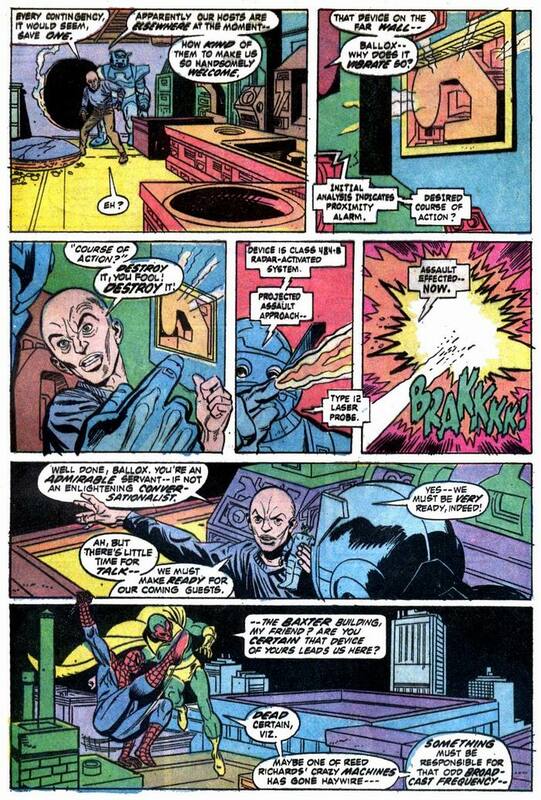 Ol' Groove has always really dug The Vision, and he was especially interesting during this particular period when he was struggling with his emerging humanity. 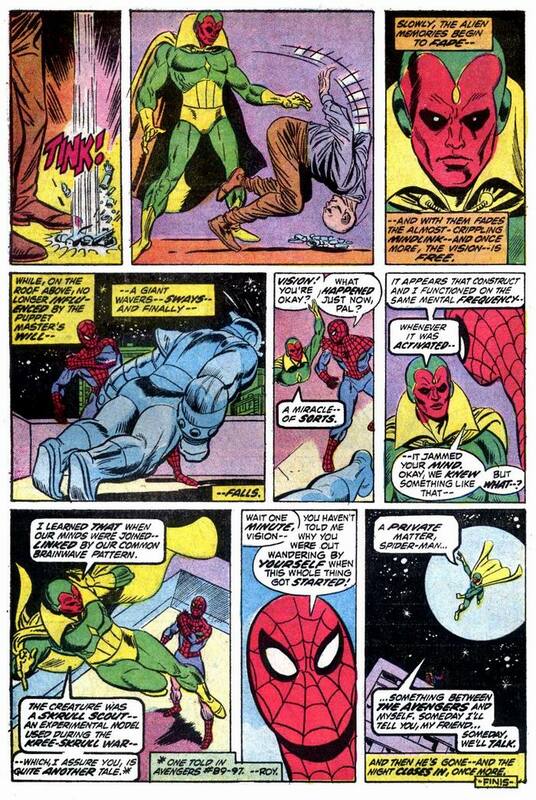 He was falling in love with Scarlet Witch and battling temptations from The Grim Reaper (who was offering him full humanity by claiming to be able to put the Android Avenger's mind into the then-believed-to-be-dead Wonder Man's body) over in the Avengers' mag, which is why he's so deep in thought at the beginning of this tale. 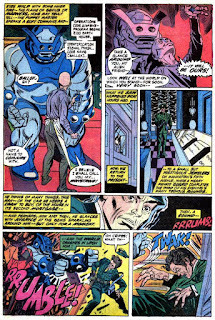 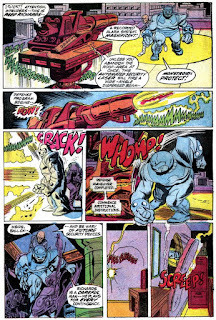 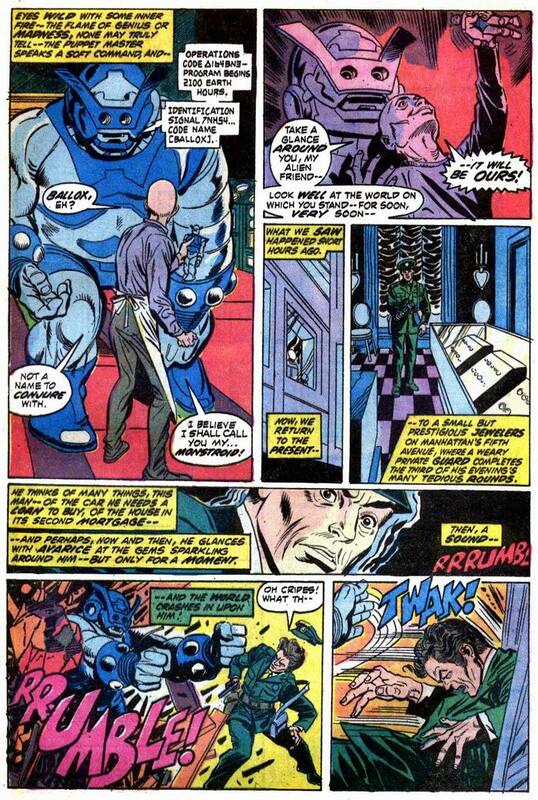 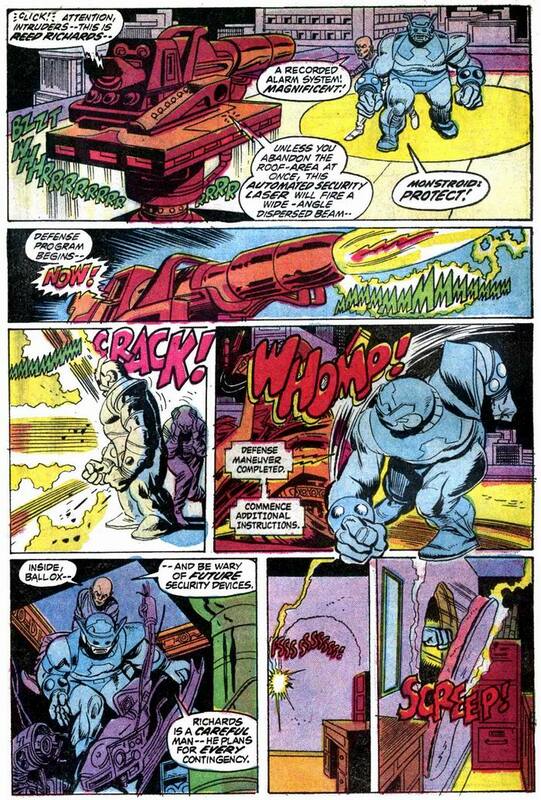 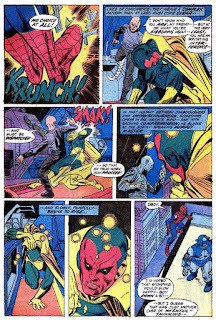 More cool stuff about this issue: it actually ties into the Kree/Skrull War and the art by Gil Kane and Mike Esposito is far-freakin'-out (makes Ol' Groove wish Kane had drawn some Avengers issues) ! 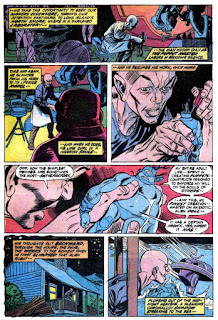 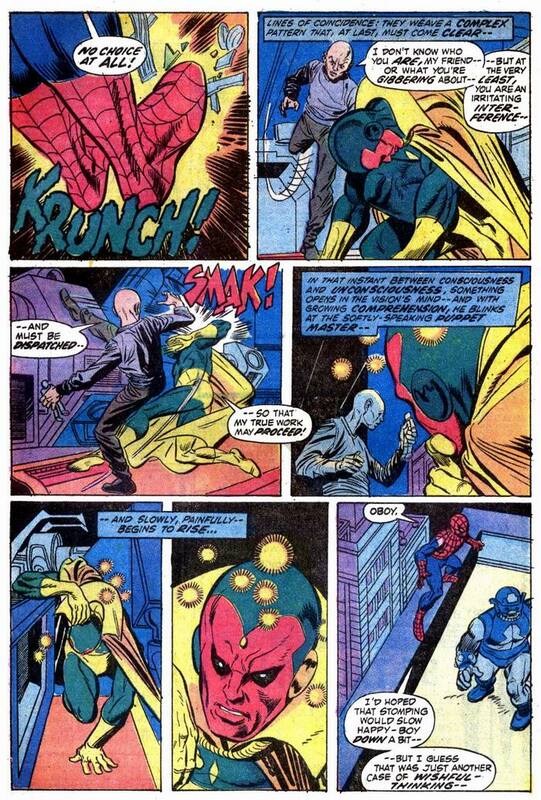 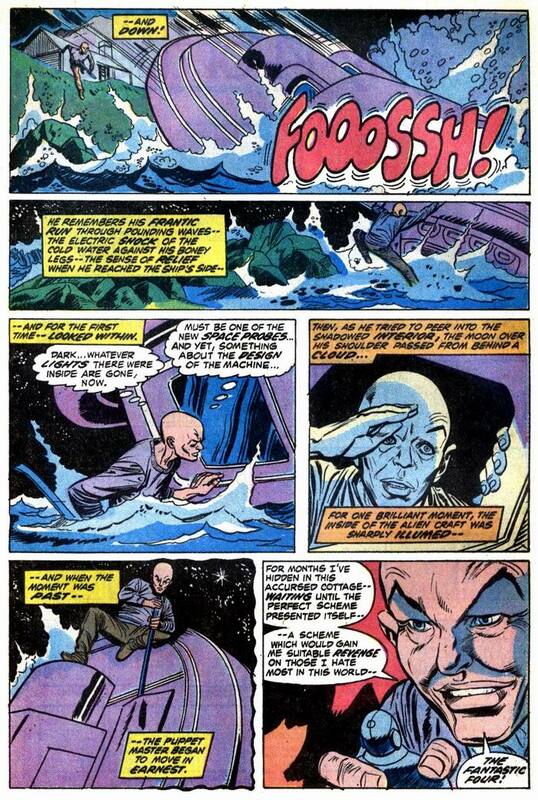 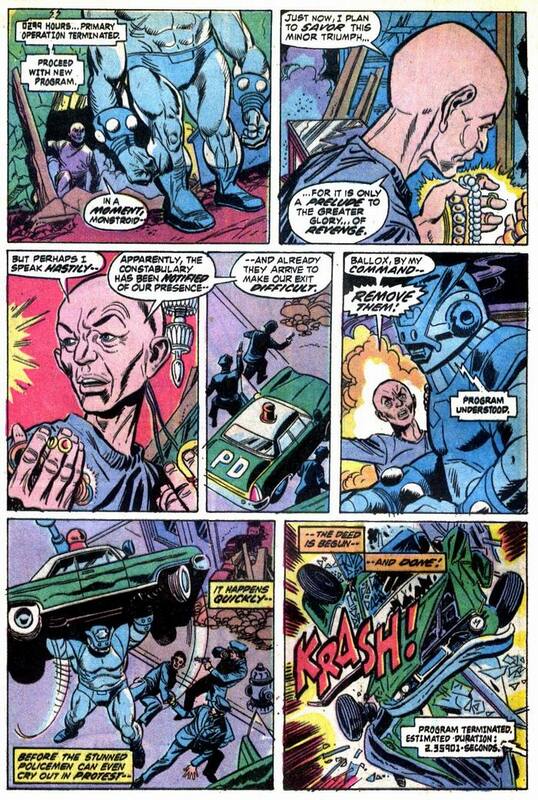 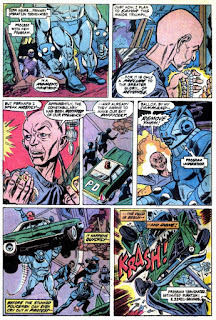 Oh, and since it's Marvel and the heroes all share, the main villain of the piece is Fantastic Four arch-enemy The Puppet Master! 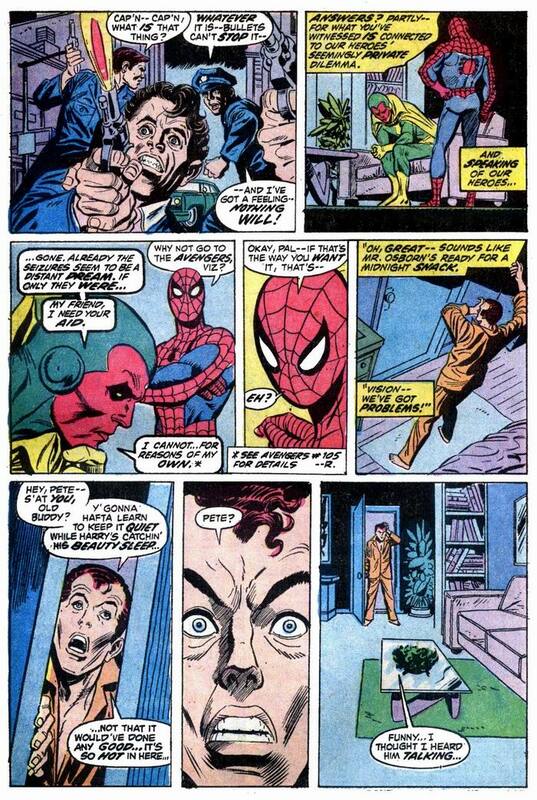 Hoo-hah! Not a name to conjure with indeed. Can I be the first UK reader to say this story is ballox? Ah, Gil Kane always brightens up a Monday. 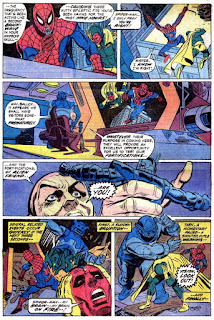 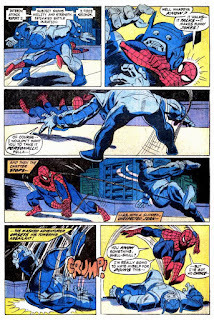 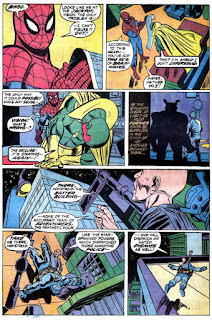 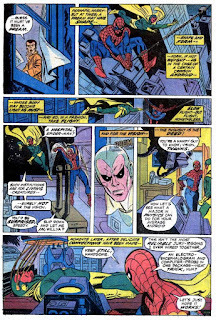 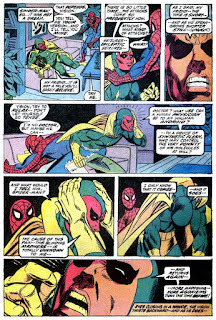 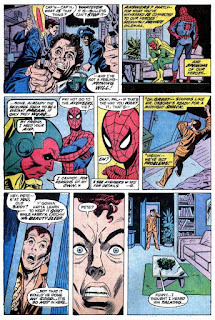 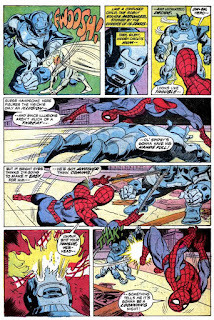 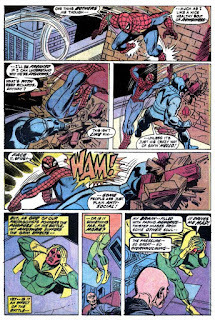 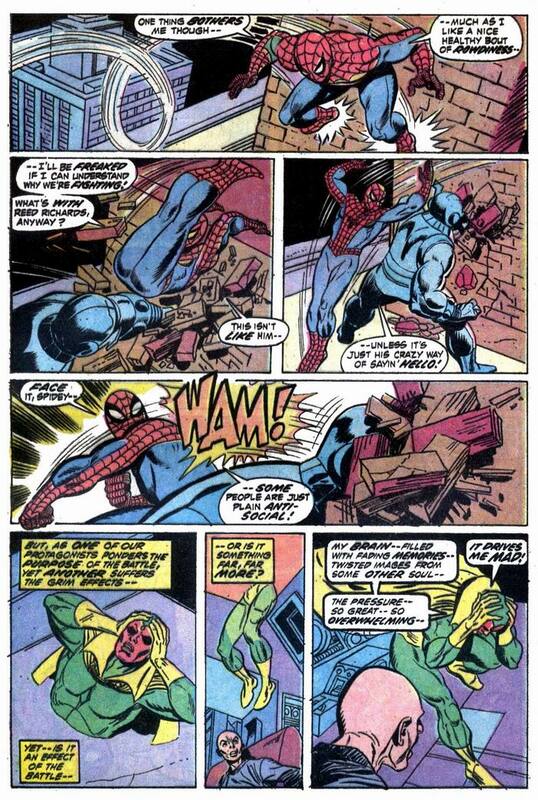 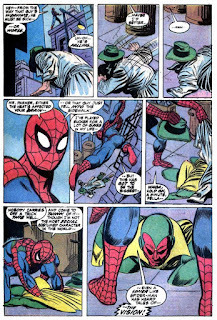 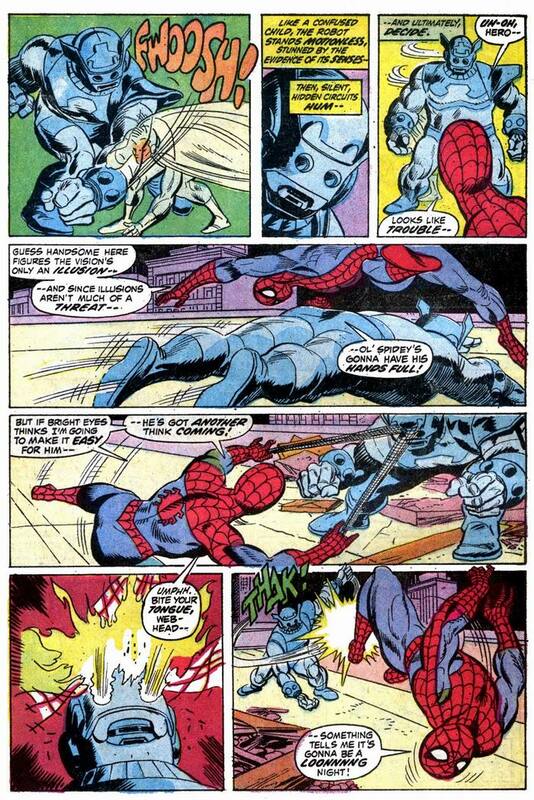 Spider-Man and Gil Kane. 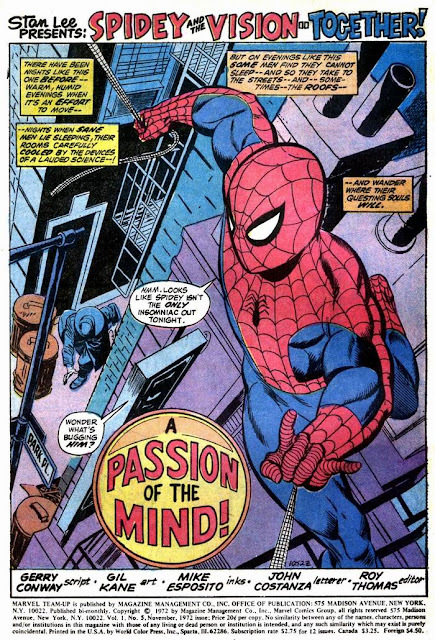 Two great tastes that taste great together !Thank you sir! The early Marvel Team-ups were so good.